Next month, Overton Moore Properties will break ground on its $300 million Pacific Commons South development in Fremont that’s unlike any industrial project that’s come before it. The Southern California-based developer — along with partner Invesco — envisions an industrial mega-campus with amenities that match tech headquarters. The property sits next to shopping and has access to transit. It was designed with extensive indoor-outdoor meeting space for tenants and bike and walking trails throughout. Overton Moore is so confident in the high demand for quality industrial product in the Bay Area that it paid more than $123 million last year for the 110-acre site. The project’s 1.7 million square feet of space will cater to advanced manufacturing, clean tech, life sciences and other industries at Cushing Parkway. This huge gamble shows Overton Moore’s excitement about the Bay Area’s future. The company is no stranger to developing here: It already has built 850,000 square feet and bought 600,000 square feet in the region. Not only is the project unlike anything his 15-person development company has ever built, Tecimer believes there’s no other industrial product currently like it in the Bay Area. Tecimer is taking great care to incorporate a work-life balance for employees who will work at the site by including multiple, exclusive outdoor patios connected to their office space, bike trails, and easy access to a refuge trail. “This will be something unique when it comes to warehouse and advanced manufacturing buildings,” he said. The company also is including pocket parks throughout the project so that employees have a place to unwind or conduct outdoor meetings. He also estimates that when completed, the complex will represent the largest East Bay advanced manufacturing and warehouse development. The project is not only significant for the Bay Area, but for Overton MooreProperties. Being close to retail and BART, “great” freeway access and so close to a nature reserve made the site extra appealing to Tecimer. Then there’s the overall market metrics. Then there’s the simple matter of supply and demand. Tecimer estimates there’s about a 2 percent vacancy from Milpitas to Richmond. “I’d say less than 9 percent of total product is Class A new, functional product and less than 5 percent is Class A advanced manufacturing space,” he said. Tecimer was also encouraged by what he describes as a “tremendous amount of demand for this product with the majority of these projects getting pre-leased. “It’s not exclusive to Tesla, there’s also demand in AI, food processing, clean tech, line assembly, and R&D,” he said. “There’s a pretty deep, broad list of different industries taking this space. The industrial project will be built in two phases with the first phase including five buildings totaling about 900,000 square feet and the second five buildings totaling about 800,000 square feet. Tecimer projects Overton Moore will start delivering buildings out of the first phase in the third quarter of 2019 and the remainder sometime in 2020. Tecimer is hopeful that Overton Moore will be able to pre-lease a good portion of the project. “Every other project we have built in the Bay Area we have released a portion or all of it,” he said. This includes Italian syrup maker Torani Inc. recently preleasing 327,000 square feet at 2000 Marina Blvd. in San Leandro and Tesla supplier SAS Automative pre-leasing the 142,000-square-foot Eureka Landing in Newark in 2016. 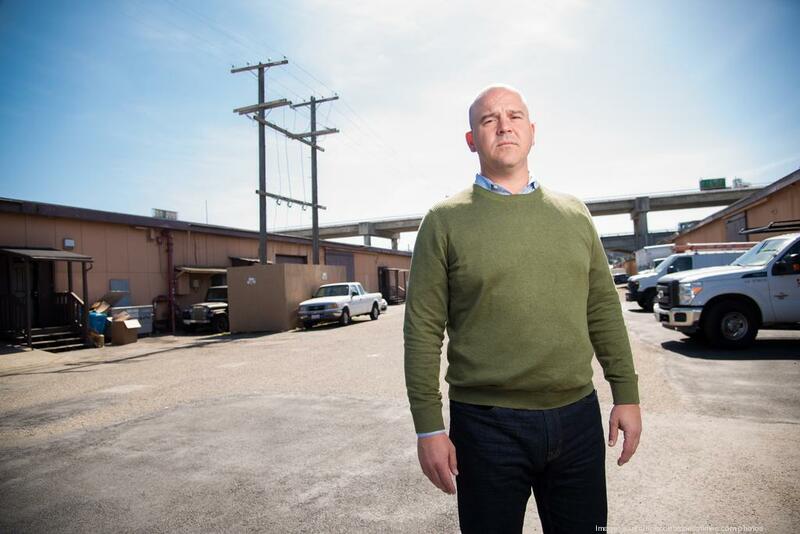 People often ask Tecimer why Overton Moore is so bullish on the Bay Area industrial scene. “The overall macroeconomics of what’s going on there in terms of job creation, innovation and new business creation is a factor,” he said. In addition, Tecimer noted that the industrial product in the area includes a lot of older, functionally obsolete buildings. This convergence of high-demand and low-supply have forced industrial developers to consider new approaches, such as building up, Letter added. One such example is the planned Prologis San Francisco Gateway project in the Bayview neighborhood that is scheduled to break ground in the second half of 2019. “Industrial real estate in the Bay Area is land-constrained and new development is further restricted by regulatory barriers including strict zoning, building requirements, the high cost of land and competition for other uses,” says Dan Letter, managing director of capital deployment in the Northwest for Prologis. Colin Yasukochi, director of research and analysis for CBRE, said that the Bay Area industrial market is chronically undersupplied and lacks modern space. Ovadi of Jones Lang LaSalle argued that there’s a diversity of demand too, with ‘last mile’ and ecommerce users coveting close-in locations near their consumer base and more traditional goods-movement-related users moving eastward to Livermore and the Central Valley markets to provide a reverse commute for their workforce and lock in lower costs. Advanced manufacturing, tech and other users needing access to a highly skilled workforce are gravitating to Fremont and the inner Bay Area markets, he said. So how does Overton Moore’s planned Fremont development fit into the broader landscape? In addition to the three developments below, the company bought 600,000 square feet in the Bay Area.